The 2013 Top Technician competition has been launched, with the aim of seeking the very best automotive fault-finding technician in the UK. 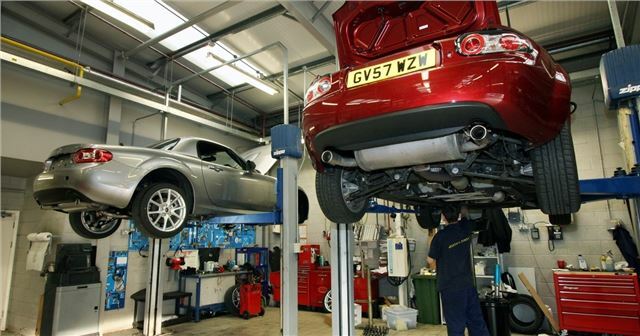 What’s more – you can submit your trusted local technician and garage online, at www.toptechnician.co.uk. The winner of the competition, operated in association with the Institute of the Motoring Industry (IMI) and ‘Aftermarket’ magazine, will win £15,000 worth of prizes. The Top Technician competition was inaugurated in 2002 and has been held annually ever since. It’s open to working professionals across the vehicle servicing industry, whether at independent garages, franchised dealerships or fast-fit outlets. The reigning champion is Gareth Edwards, of Cawdor Cars in Aberystwyth. “It had been a few years since the competition was won by a technician from the franchised dealer end of the industry, so I’m sure the independent and fast-fit experts will be honing their skills to win it back this year,” said Nicola St Clair. The competition is split into three stages – first is an online test, from which 12 high scorers will be selected. The practical semi-final heats then take place at the Delphi Technical Centre, followed by the finals at the Honda Institute in Slough. If you’d like to submit a nomination for your trusted local mechanic visit www.toptechnician.co.uk.